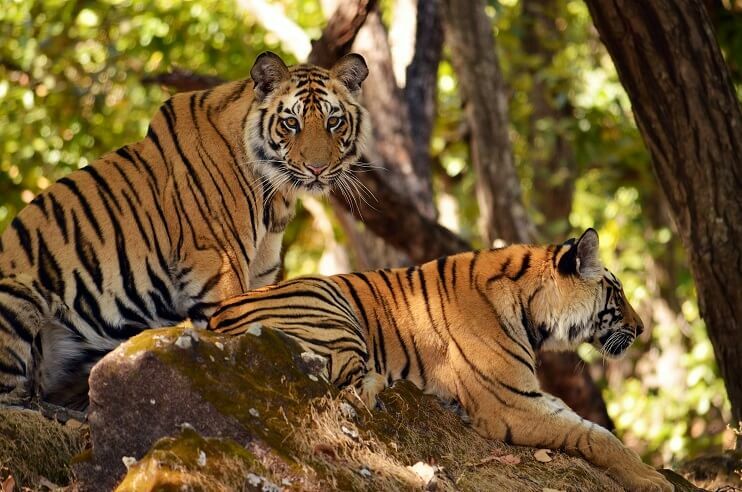 On the banks of Ken River, Ken River Lodge is a luxurious property ideal for those who want to get pampered by the exotic landscapes and sublime natural beauty on their wildlife tour to Panna National Park. Sprawls over a massive area of 50 acres of land, this luxury resort in Panna National Park offers a unique experience perfectly blended with a traditional lavishing hospitality and a comfortable stay. 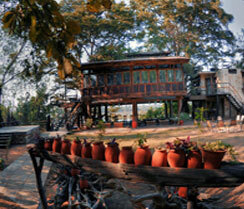 Pioneering the scene the wildlife tourism in Panna, Ken River Lodge was built in the year 1986. 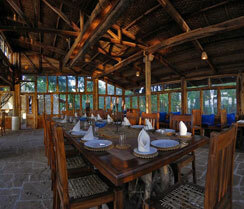 However, the resort has wrecked twice in the floods of 1992 and 2007. Despite this, it has built again with the same motive and ardour. 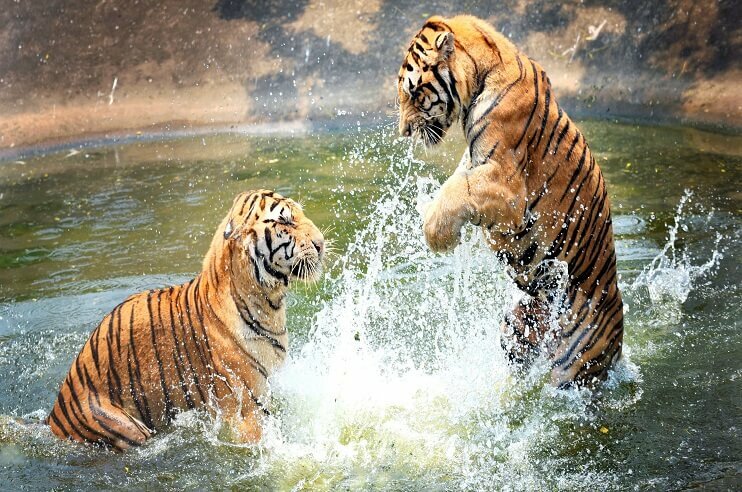 One very important thing to notice about this popular resort in Panna National Park is that it is purely made up of natural resources from neighbouring villages and areas. In the accommodation department, the resort gets the full rating as it allows one to connect with wildlife while proffering a surreal surrounding of nature and pristine landscapes. 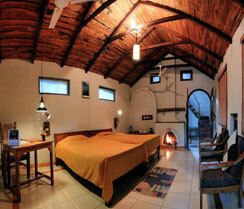 In total, there are 11 cottages in Ken River Lodge that are crammed with ultra-chic interior and high-end amenities. Of all the accommodation units in Ken River Lodge, 6 are village style huts that are fully air-conditioned and equipped with some modern facilities like attached bathroom with hot and cold running water, dressing room, LED Tv, and sit out area. Whereas, the remaining 5 are family cottages with 2 bedrooms, attached bathroom with hot and cold-water supply, living room, open deck and a kitchenette. 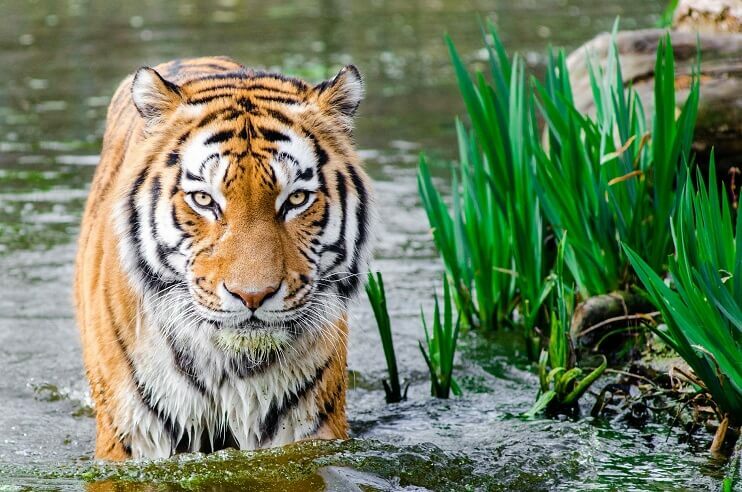 While staying at a cottage or a hut at River Ken, you will be automatically bound to enjoy an experience of a lifetime on your wildlife vacation. 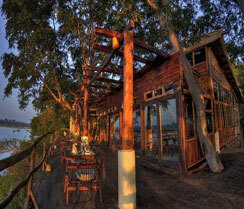 Like the stay, the dining is also quite surreal at River Ken. 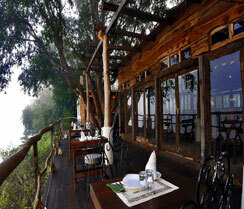 Machaan is the restaurant in this resort which is also the main highlight of River Ken. 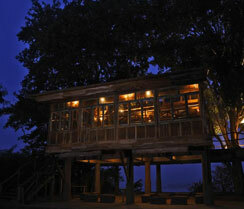 Overlooking the beautiful Ken River, the restaurant offers a range of fresh and home-cooked meals. The luscious taste of the food served at Machaan is admired by everyone. 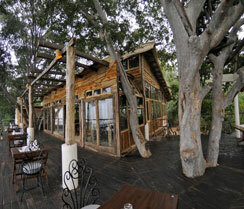 In order to stand true to their quality, they serve fresh and organic vegetables to the plates of the guests. Ken River Lodge not only please clients with their luxurious stay but they also serve them with some other modern facilities like garden, luggage storage, library, free parking and car hire. Besides, they also proffer the service of laundry and currency exchange. 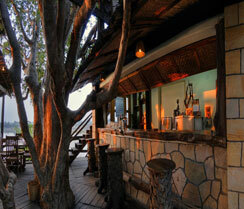 Keeping the safety of belongings into consideration, the resort has a safety deposit box.